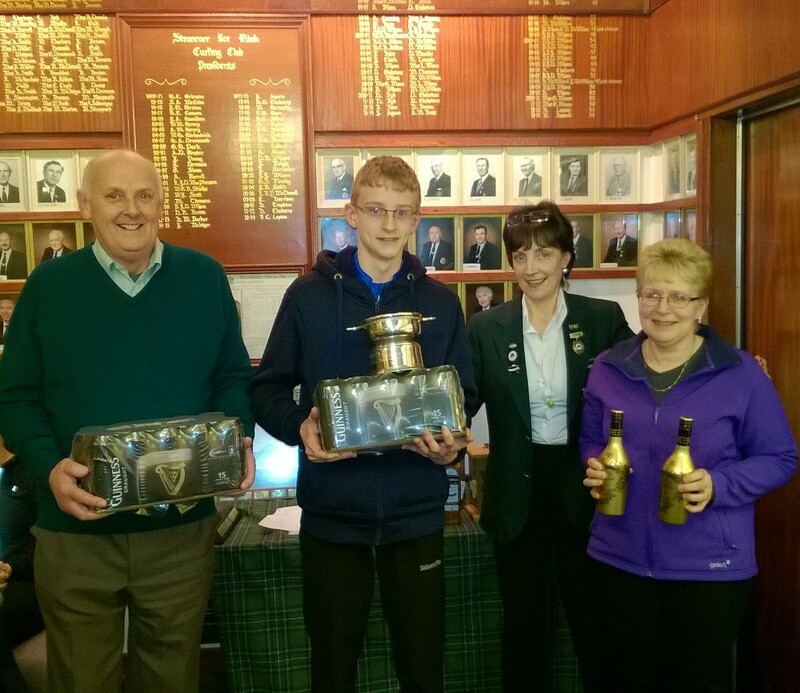 The Irish Curling Association Stranraer weekend was won in style by a rink skipped by Robin Gray with three members of the Cannon family from Wigtown – Christine, Jim and Jenni. 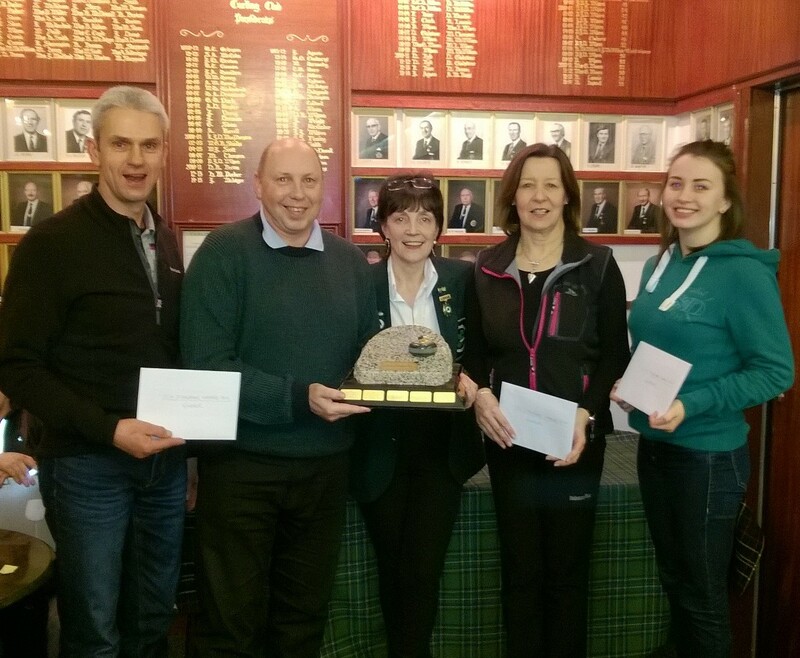 This new team in our favourite weekend remained undefeated throughout the four rounds of the Shenkel system competition to claim the top prize of the granite stone trophy and £25 vouchers for McMillan Hotels. 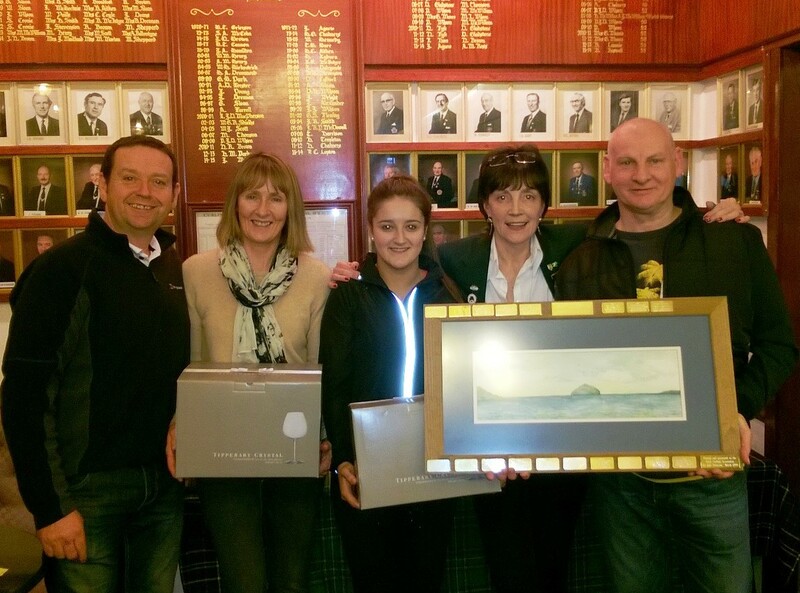 The runners-up in the high road also featured Stranraer players Peter Wilson, Lauren Morgan and Murray McWilliam joined by Margaret MacAuley, who, with three wins and one defeat won the Ailsa Craig painting, Tipperary crystal wine glasses and boxes of wine. In the low road the winners were, same as last year, Michael Sutherland, Fiona Turnbull, Ross Barr and Alison Barr, winning Irish whiskey and Irish cream liqueur. 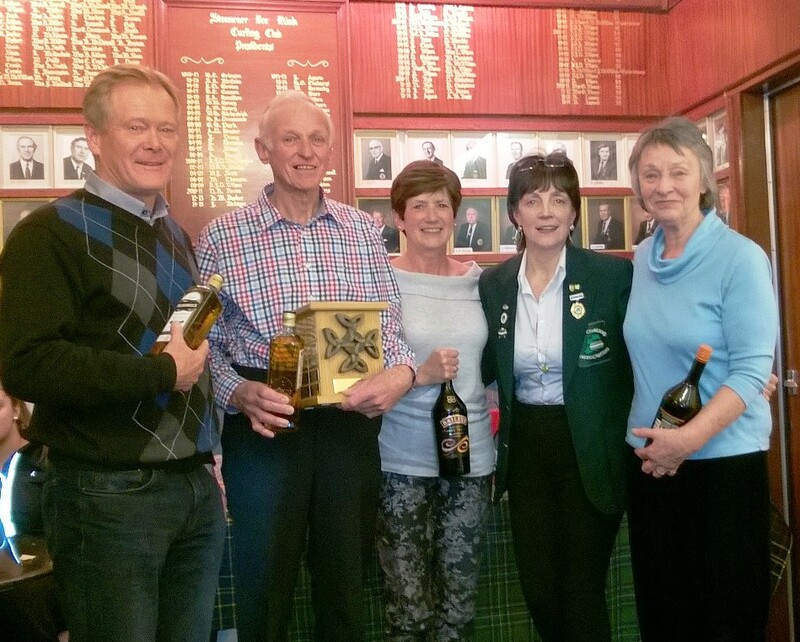 The runners-up in the low road were the local team of Andrew Gilmore, Roberta Warwick, John Gilmore and Diane Gilmore winning cans of Guinness and Irish chocolate liqueur. The consolation prize went to the rink of Andy Robinson, Rosemary Griffiths, Alan Griffiths and Rona Griffiths. With any luck Tayto bosses will see the picture and all the free publicity they are getting and decide to sponor the ICA! 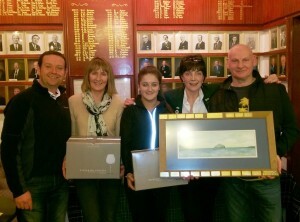 The grand raffle on the Saturday evening drinks reception raised £329.10 for ICA funds. 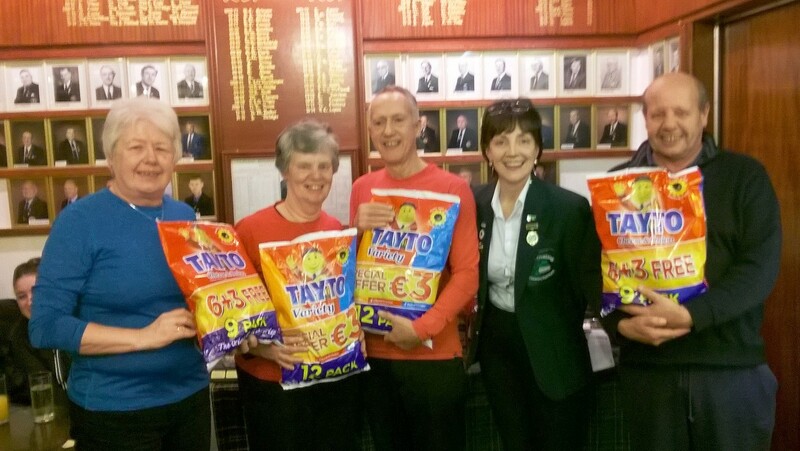 Many thanks to all who gave prizes and bought raffle tickets.